It has been months since we set foot on another country. We planned and planned, but those plans evaporated faster than rain on the Sahara as soon as we saw the airline ticket prices. We thought we’d never be able to have a trip outside the country this year until we heard about AirAsia’s Asean Pass. 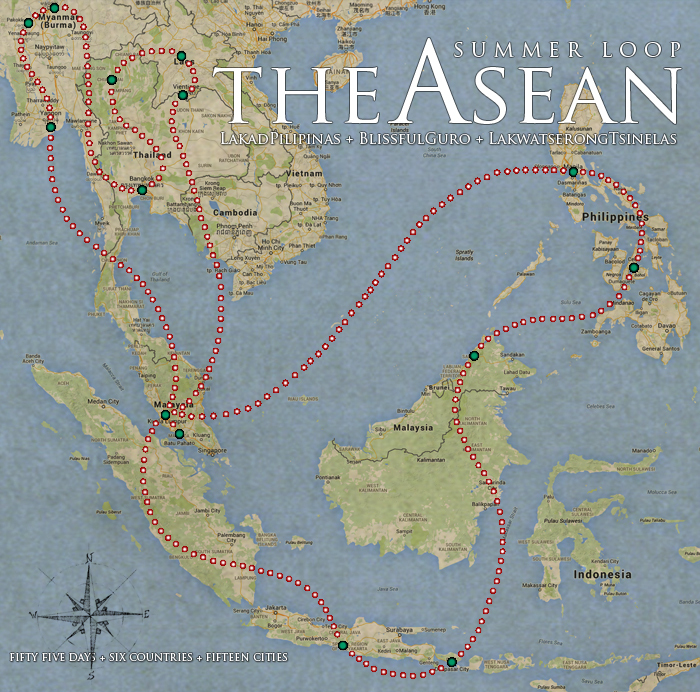 With barely an overview what the pass was about, we started daydreaming of backpacking the countries around South East Asia. We really don’t mind going back to places we’ve been before, having found from previous experience that it’s always sweeter to visit a place the second time around. With our route planned, together with fellow travelers Blissfulguro and Lakwatserong Tsinelas, we finally went ahead and bought a 20-credit AirAsia Asean Pass for Php17,000.00 ++ (taxes and airport fees included). And then we’re back at square one. 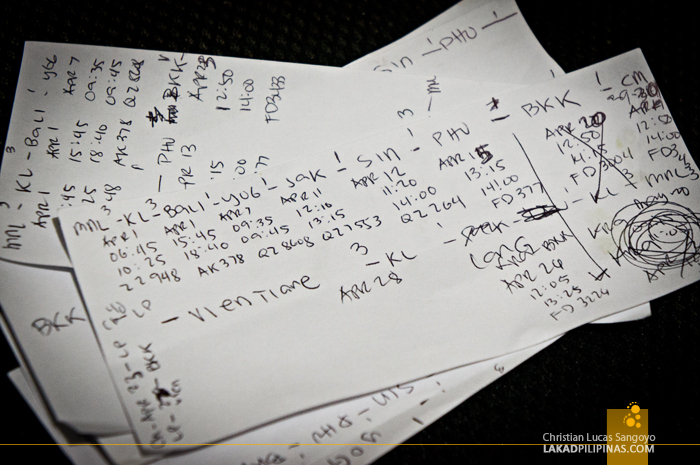 The first flight we planned for, Manila to Kuala Lumpur, was unavailable. Fifty five days, six countries, seventeen cities. This would be my longest trip so far. And if you’re interested in taking a peek, I’ll be updating in realtime my Instagram and Twitter accounts, @lakadpilipinas. Wow! I'm looking forward to your adventure especially the Indonesia and Laos part since I haven't been there yet. Exciting! Abang abang ako dito sa FB para sa adventure na to. Ang galing ng mga jetsetter! Looking forward sainyong adventure!